Premium Red Tape Universal Adhesive 1mm x 36yd, Premium DC Film, Polyester, Red, Universal. 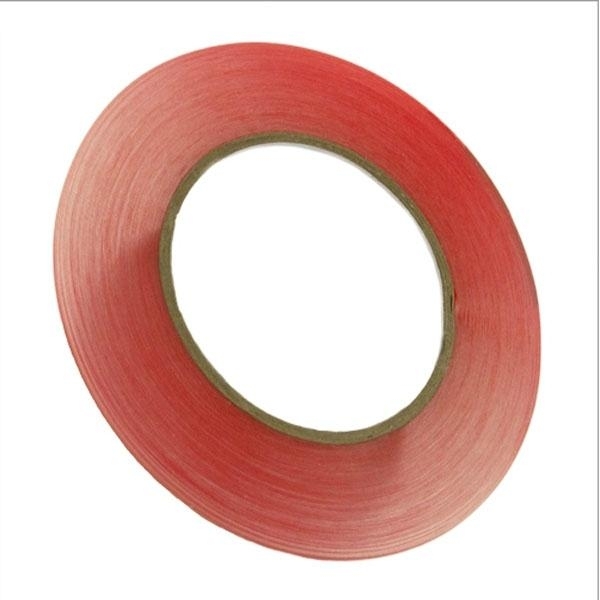 This double-sided adhesive tape consists of a transparent polyester film and acrylic adhesive which offers excellent immediate adhesion performance. Its secure reliable bonding strength provides immediate usability right after assembly. The adhesive system is especially resistant to plasticizers and offers a secure bond even at elevated temperatures. This product is ideal for the mounting of battery packs, lenses and touch-screens in electronic devices. Particularly useful when assembling glass and digitizer assemblies to frames in iPhones, iPods and iPads. SPECIFICATIONS: Adhesion to Steel: 88 oz/in.